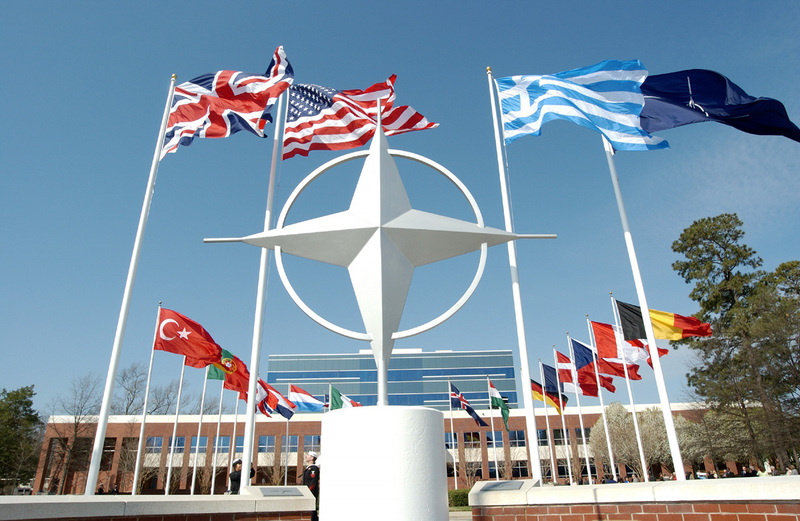 “Keeping NATO relevant” – should NATO go home? ISIS Europe attended the event hosted by Carnegie Endowment on “The Chicago Summit and NATO’s new Challenges” on 8 May 2012. Peter Spiegel, from the Financial Times, moderated the discussion between Jamie Shea, Deputy Assistant Secretary General for Emerging Security Challenges at NATO, Lisa Aronsson, Head of the Transatlantic Programme at the Royal United Services Institute (RUSI), and Jan Techau, Director of the European Centre of the Carnegie Endowment for International Peace. In a context where the upcoming NATO Chicago Summit has produced sustained incentives for widespread literature production on the future of the Alliance, the event marked the launch of Jamie Shea’s Carnegie Europe policy outlook entitled “Keeping NATO Relevant”. The 2014 withdrawal from Afghanistan and the United States’ shift of interest towards Asia, coupled with the much-debated European economic and financial crisis and its impact on European defence and security capabilities, are currently identified as major challenges for NATO and its future. There is a dual concern over NATO’s capability to cope with the post-2014 international environment, but also over its existence in the absence of a defined enemy. As highlighted by Jamie Shea, there is a possibility for NATO to find itself with no major enemy to fight or operation to run, after having withdrawn from Afghanistan. In this event, would NATO get back to basics, would it widen its horizons and endorse new prerogatives, or would it undergo a period of strategic ‘soul searching’? Views diverge. NATO literature abounds of articles, opinions and prophetic discourses about the Alliance’s imminent dismantlement. Having recently entered its seventh decade of existence, the Alliance’s sustained activities and operations, and its efforts to adapt to the 21st century security environment have proven that it was more than a mere “Cold War relic”. However, the concern related to the possible absence of a major operation after the end of the ISAF mandate would abruptly freeze the Alliance’s operation-driven transformation of the post-Cold War era, thereby confronting it to the question of its very role and existence. According to Jamie Shea, keeping the Alliance relevant consists in keeping a smaller, more cost-effective NATO, acting as a political and military player in global affairs. He considers that a better harmonisation of positions in situations of crises is necessary if NATO is to be at the heart of multinational, high-end military operations. As Deputy Assistant Secretary General for Emerging Security Challenges, Jamie Shea supports greater expertise and capabilities development that would allow NATO to meet the challenges of new, hybrid threats. He also warns about the dangers of reducing NATO to its focus on Article V, as it would imply a risk for NATO to be decreasingly-responsive to the global concerns and worries of its members or partners. The meaning, purpose and centrality of Article V loom large over any consideration on the Alliance. Firstly, the meaning of the solidarity clause has significantly transformed as a result of the evolution of the post-Cold War and post-9/11 security environment. Afghanistan clearly created a precedent for the concretisation of the “out of area” Article V dimension. Furthermore, in an era where the Alliance puts cyber-warfare at the forefront of its agenda, questions on the significance of Article V are frequently raised, but answers are missing. As stated in the Alliance’s factsheet on cyber-security, “NATO will maintain strategic ambiguity as well as flexibility on how to respond to different types of crises that include a cyber component”. Secondly, as underlined by Jan Techau, Director of Carnegie Europe, the recent Libyan mission and the ongoing decade-long ISAF mission in Afghanistan have created significant precedents for the increasing reliance of NATO on international and institutional support and legitimacy to undertake future operations. In particular, the unpopularity of the Iraqi and Afghan campaigns cast general doubt over NATO’s ability and willingness to engage in other long and costly interventions, both in economic and human terms. Thus, should NATO “come home” to Europe and to its core business of territorial defence? In this regard, Lisa Aronsson argued that NATO will be relevant only if it ensures Article V remains applicable and if it responds to the current economic crisis, rather than being considered as part of the problem. It needs to be part of the solution, through effective implementation of Smart Defence initiatives, which should serve to build confidence and trust in the organisation’s structures. With the Chicago Summit imminent, Smart Defence initiatives have been developed in the light of the necessity for coherent strategic thinking for the Alliance. The panelists underlined the necessity for those initiatives to fit into a larger framework of designed steering of capabilities, to serve the purpose of clearly defining NATO’s role and multinational capabilities. This entry was posted on 09/05/2012 by ISIS Europe in Conferences, Myrto Hatzigeorgopoulos and tagged Afghanistan, NATO reform, Transatlantic Security.